"Being careful is not cowardice," Martelly says in his tweet, " inviting the Haitian population to follow the advice of the authorities in order to save lives. 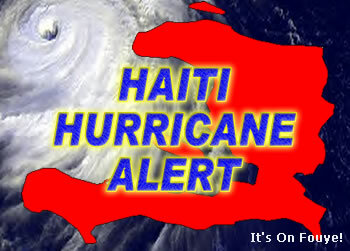 Although the 2014 hurricane season is forecasted to have little activity in terms of capacity for cyclones, Ronald Semelfort of the Haitian National Center for Meteorology (CNM) is urging the public to be careful nonetheless reminding them of the times when Haiti faced some major cyclones like Flora in 1963 when little activity was reported. "We must be prepared to face it and prove our vigilance," Semelfort says.